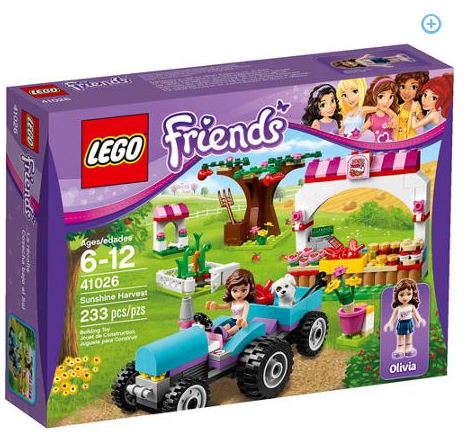 LEGO Friends Sunshine Harvest Play Set On ROLLBACK for $15.97 + FREE Store Pickup! You are here: Home / Great Deals / LEGO Friends Sunshine Harvest Play Set On ROLLBACK for $15.97 + FREE Store Pickup! Check out this super fun LEGO Friends Sunshine Harvest Play Set On ROLLBACK for ONLY $15.97 + FREE Store Pickup! My daughter loves LEGO Friends and I know she’ll just love this set!